You are caught in a hailstorm of Cracker Jacks and peanuts as you fight the crowd to your seat to catch the first pitch. As you pick crumbs of food from your hair, you look down on the field and your eyes turn green with envy. Since your baseball talent is as good as your food carrying skills, something else draws your attention to America’s greatest past time. Lines, patterns, and shades of green fill your head as you gaze at the outfield. 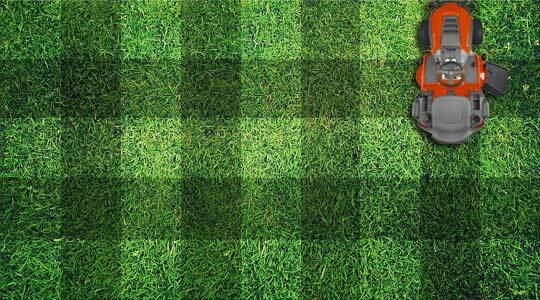 Alternating stripes of light and dark grass consume the players like pieces on a chessboard. At that moment, you swear a voice is whispering, “If you build it, he will come.” Well, if you don’t want a Field of Dreams, there’s no reason you can’t have your Lawn of Dreams. If creating a lawn with simple stripes or more complex patterns has always been a dream of yours, it’s time to make that dream a reality. Are you ready to go the distance? You’re tired of your boring lawn, where the only feature that stands out when you’re finished is the tire tracks left behind by the mower. You would like to be more creative and have more to show for your efforts. The issue is, your lawn mower alone cannot groom your grass as well, without a little help. So, how do the Pros make those perfectly executed mowing patterns of stripes, checkerboards, and waves stand out so much? No, they don’t use paint or different breeds of grass on the fields. The technique is called Lawn Striping. They use a lawn striping kit that consists of rollers, mats, or a sweeper with bristles. These accessories are attached to the lawn mower to help create those patterns you see on the baseball, football, and soccer fields. Here’s how it works. 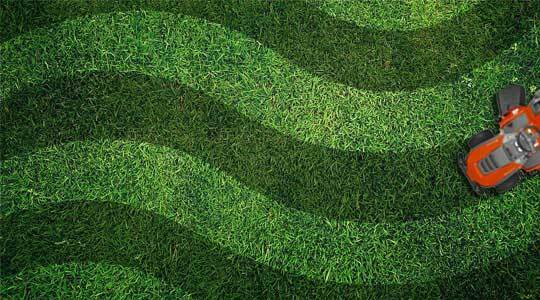 The stripes and patterns you see are created by bending the grass blades. When the grass blades are bent, the surfaces of the blades reflect the sunlight that shines on them. If you are viewing grass bent towards you, it will appear darker. Looking at grass that’s bent away from you appears lighter. So, the exact shades you see depends on the direction you are viewing the grass. Grass is always bent in the direction you’re mowing, so if you alternate directions, this will create the varying shades of light and dark grass. Lawn striping kits bend the grass much more than the mower does, on its own. The roller, mat, or sweeper accessory puts pressure on the grass, bending it further to allow the blades surface to reflect more light. See, no trickery involved, just attach a lawn striping kit accessory to your mower. You’ve stepped up to the big leagues with a roller attachment for your lawn mower. While you’re still on-deck, there are a couple things to consider first. Is your lawn healthy? You wouldn’t want your striping job to have any flaws of an unhealthy lawn, such as weeds, bare spots, or zombie grass. Are you mowing correctly? If you’re following proper mowing techniques, then it’s a green light for go. If not, brush up on these 5 Quick Mowing Tips. Don’t just wing it. Before you start to mow, sketch out the pattern you would like to use. Popular patterns are stripes, checkerboard, diamonds, waves, and circles. Or if the creative juices are really flowing, create your own pattern. After you’ve planned it all out, the first step is to mow around the perimeter of your lawn twice. This creates a turning pathway when repositioning the mower for the next pass. The first cut into your pattern is crucial to establish a uniform cut. If you want to mow in straight lines, make sure your first cut is straight, so not to offset the other cuts. Establish a line of site, like a tree or fence post to guide you as you make each pass. Obstacles, those dreaded obstacles. 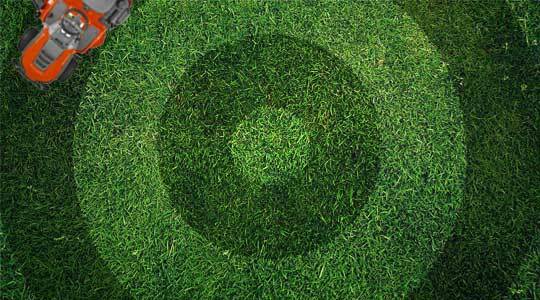 One way to liven up those obstacles (trees, rocks, ponds) is to mow around them in a circular pattern or any other shape that corresponds to the shape of that obstacle. Otherwise, mow around the obstacle and mow over the turn marks on your next pass. Creating more complex patterns such as, the checkerboard or diamonds, will require you to cut the grass twice in perpendicular directions to the first cut. This creates that crosshatch look to your lawn. Once you have finished mowing your Lawn of Dreams, mow over the outside perimeter of the lawn again to eliminate the turn marks. Then stand back and admire your masterpiece. Now you’ve built it, but who will come. Well, people may not drive for hundreds of miles to see your lawn, but you will definitely be the talk of the neighborhood. Bring the sights of a major league game to your home. Create the lawn of your dreams, without fighting the crowd or the Cracker Jacks. 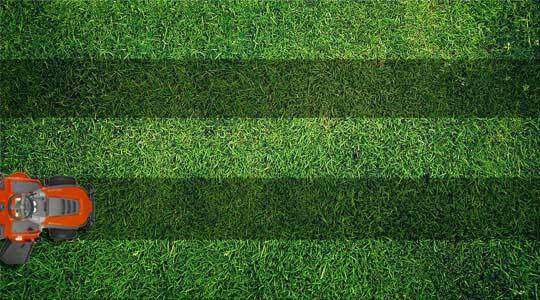 Lawn striping isn’t as difficult as it may seem. With the help of a lawn striping kit, you can create impressive results. Also, all of our new Toro 20 – 22 inch walk behind mowers can be purchased with an optional lawn striping system, at a reduced cost.